Amazon Web Services provide a lot of pieces of cloud infrastructure, such as EC2 (Elastic Compute Cloud), S3 (Simple Storage Service), Route53 (DNS Management). They can be managed through the web admin console, but the most power lies in the ability to use APIs to communicate with these services: provision new EC2 instances, upload or download files into S3, etc. SDKs for various programming languages wrap those APIs into convenient libraries, which can be used in an idiomatic way from the language. As we began our research, we came across aws-go, an SDK from Stripe. This SDK, principally authored by Coda Hale, was developed using model-based generation techniques very similar to how our other official AWS SDKs are developed. We reached out and began discussing possibly contributing to the project, and Stripe offered to transfer ownership of the project to AWS. We gladly agreed to take over the project and to turn it into an officially supported SDK product. 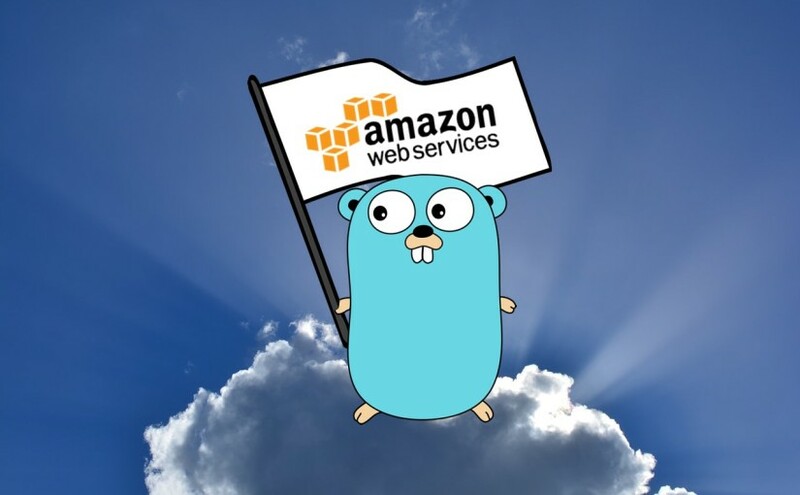 Currently AWS SDK for Go supports 43 Amazon services, such as AutoScaling, EC2, S3, Glacier, CloudFront, SimpleDB, Route53, and others. Check out documentation for more information. Go mascot by Renée French, used according to Creative Commons 3.0 Attribution License terms.